When you say “waiter from The Muppet Movie,” people think of Steve Martin. 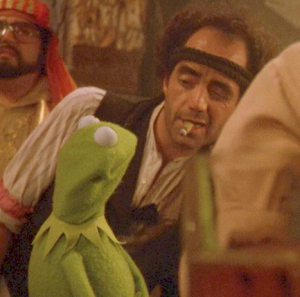 When you say “director of The Muppet Movie,” people are astonished to realize it wasn’t directed by Jim or Frank. 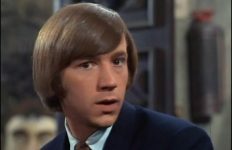 When you say “director of nearly half the episodes of The Monkees,” people are astonished to realize The Monkees had directors. (Actually, I think it’s a far better, smarter show than its reputation, but that’s an argument for another day, or at least later in this article.) 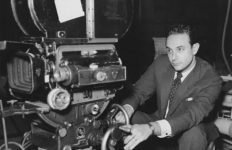 But he was a serious working director; by my count, he directed well over two hundred things for TV, including each episode of a show separately. And if he only directed a handful of movies, only two of which I’ve heard of, much less seen (and one of which I’ve only seen because the library had it), well, one stone-cold classic out of five movies total is still not a bad ratio. He also dabbled in acting, before he started directing, but I think the only role any of us would actually know him from is his cameo as the waiter at the El Sleezo Café at the beginning of The Muppet Movie, who is, as I said, the second-best-known waiter in the movie. (It’s hard to compete with Steve Martin.) I don’t know why he made the shift to directing; neither IMDb nor Wikipedia have much to say about the man himself, and I’ll admit I don’t know anything beyond that. Though, unusually for my obituaries, I do know people who’ve probably met him. Their stories, though, are from The Muppet Movie and therefore naturally all about Jim. But, okay, The Monkees. It was his first directing gig. He didn’t write for the show, so I can’t attribute its intelligence and wit to him, really. And I haven’t watched it recently enough to comment on its visual aesthetic, particularly, other than to agree that, yes, it’s pretty well Late ’60s Sitcom Studio for the most part. But I would say that anarchy is actually the hardest thing to stage well, and of course I’m pretty sure the guys’ personalities were more Executive Fiat than What They’re Really Like, so keeping them in character for twenty-eight episodes must have been its own challenge. It’s easy to scoff, but I’m not sure there was better preparation for working with the Muppets than working with the Monkees. And if you aren’t going to go there with me, well, you can pick. There’s certainly enough else that he did. Six episodes of Columbo, including one (which we read for The Dissolve Couch) that deals with sexism in the television industry? (And one with Kim Catrall!) Five episodes of Law & Order, including ones dealing with some fairly intense topics? Any number of TV shows over the years, really. Dramas, come to that, if you only take drama seriously. And even if you don’t take him seriously for all that, he worked steadily enough, and there are a lot of people working steadily in the industry with less impressive careers. Okay, we can’t say for sure how much he, personally, shaped his best-known works. But knowing what I do about Jim, I’d be shocked to learn he hadn’t picked up on directing tricks from Frawley. Likewise Frank, and goodness knows Frank Oz went on to direct a thing or two himself over the years. I won’t call him their inspiration or mentor or whatever, but he was definitely likely to have been one of the teachers they had over the years. If nothing else, he’s worth noting for that.